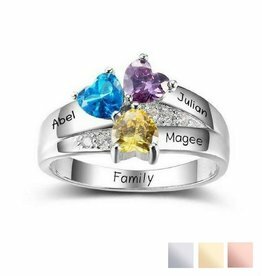 Door-and-door silver ring containing 3 birth stones and 3 names of your children. How nice to carry your children so close! The names are placed in the silver, after which we make it black for a beautiful contrast. 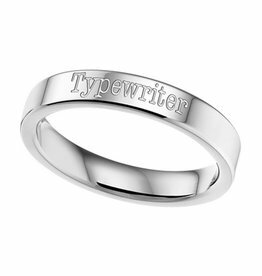 By-and-by silver ring containing 3 native stone and 2 minor names or words. 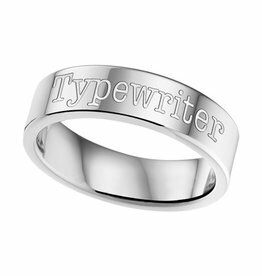 Make the ring extra personal by adding an engraving inside. A perfect gift for any mom. 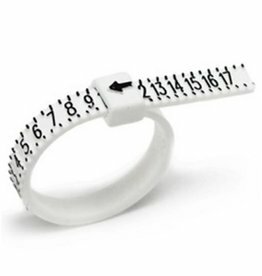 Text rings are mega trendy, your name or message to be seen! Therefore, you can engrave. Personal lyrics by KAYA Choose the name of your children, your lover or a meaningful statement?